If you have a sump pump in your home you know what a lifesaver this device can be. Or maybe you don’t. Sump pumps are somewhat of an unsung hero of home appliances. You might not even know if your home has one. It’s a device that prevents basement flooding and moisture. It lives in a sump pit, a pit in the lowest point of the house. Water will collect in the pit, rather than seeping into the crevices of your home, and the sump pump will pump it away from the house. 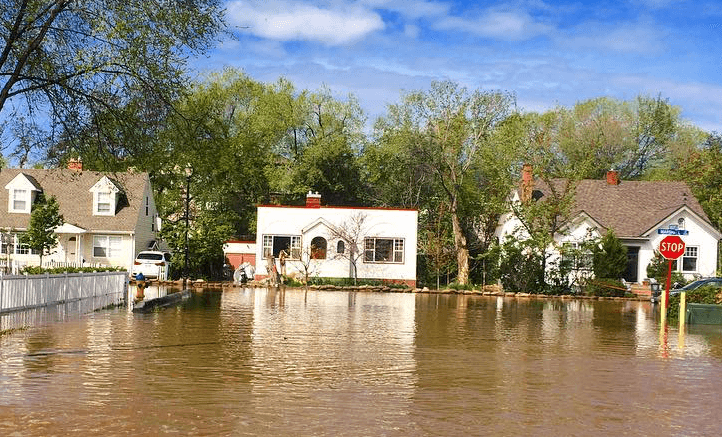 How to Tell if Your Home Has a Sump Pump? If your house is on a slab or does not have a basement there’s no reason for having a sump pump. If you’re not sure if your home has a sump pump take a look around the exterior of your house. Look for a small drain pipe that’s approximately 1¼ inch in diameter, protruding from the house and pointing away. This could be the sump pump drain pipe. If it is look in your basement or crawl space directly under the drain and you should find the sump pump. If you’re unable to find your sump pump, call your local plumber to come and take a look. Several rivers, creeks, and streams run into Okanagan Lake in Kelowna. Every spring runoff from rain and snow flows through these channels and into the lake. In 2017 and 2018 Kelowna experienced elevated levels of rainfall and runoff resulting in flooding. Many homes bordering these channels are at risk of flood damage. 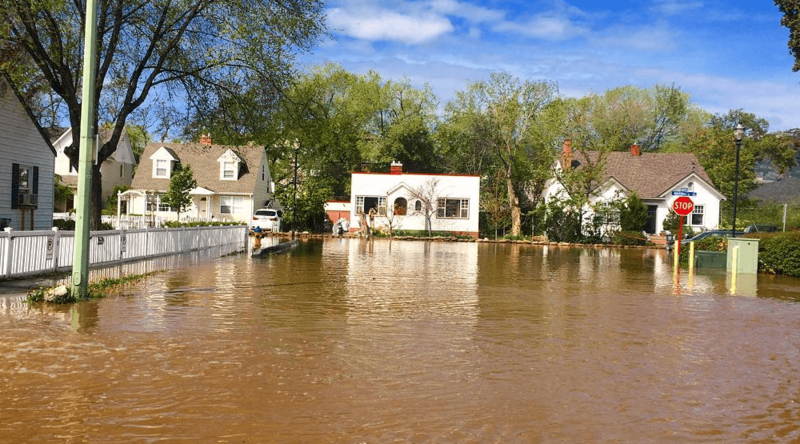 It’s important for homeowners in Kelowna to be aware of where their home sits on the water table and to take preventative measures to protect their homes from flooding. Every year homes are subject to preventable water damage. There are many reasons your sump pump could be failing. Sump pumps are very important devices for home safety so it is important they are maintained properly, and that you know if something has gone wrong. If your sump pump is failing, water is not being pumped away from the house and can cause moisture damage, and over time, mold issues, or even flood your basement. Sump pumps run on electricity, so if a power outage occurs your sump pump will not run. This can cause quite a dilemma, as often times power outages are caused by a storm. If this is the case your sump pump could be useless when you need it most. To avoid this, install a backup generator so your sump pump isn’t affected by power outages. Like any home appliance, sump pumps don’t last forever. Most pumps will last a good 10 years, maybe longer if they are well maintained. A very common reason for sump pump failure is simply that it’s in need of replacing due to old age, wear, and tear. Debris can enter the sump pump and clog the discharge pipe. If the discharge pipe is clogged, your sump pump will not be able to pump water out of the sump pit. To avoid a clogged pipe, regular cleaning maintenance should take place. You can also install a grate or some mesh to keep the pipe free of debris. Sump pumps, like toilets, use a float mechanism to activate. If your sump pump has tipped on its side the float is rendered useless and your pump will not activate. Ensure your sump pump is upright, and the float valve is in place. Sump pumps come in different sizes, with different options depending on how much horsepower you need. If you have a sump pump that is too big, it can overwork itself, resulting in a shorter lifespan. If your sump pump is too small, it could be underutilized, resulting in a shorter lifespan. A sump pit that is the wrong size can also cause sump pump failure. If the pit is too small it could fill up faster than your pump can pump it out, and overwork your pump. If the pit is too small and it takes too long to fill, your pump will be underutilized. Many things can go wrong while installing a new sump pump. If you recently upgraded yours and it’s not working, there’s a chance something went wrong with the installation process. For this reason, we recommend hiring a skilled professional to install your sump pump, rather than attempting to do it yourself. It is important to provide proper maintenance if you want to avoid sump pump failure. You should clean and inspect your sump pump 2-4 times per year to remove debris and build up, preventing clogs. This can be a messy job. At A1 Choice Plumbing & Drain, we offer routine sump pump maintenance so we can do the dirty work for you. Our professionals also know what to look for to ensure your pump is in good health. It’s important to test your sump pump regularly to ensure it’s working for when you really need it. Do a quick test by pouring a bucket of water into the sump pit. If your pump turns on and removes the water from the pit you’re good to go! If not give us a call. If you’re experiencing Sump Pump failure, call A1 Choice today and have our experts take a look.